How can I swipe between the HTML5 slides exported with iSwipe when viewing in a browser (I uploaded the files to a web server)? I mean swiping from slide1.js to slide2.js and then from slide2.js to slide3.js e.g. I'm totally stuck - can anybody help me out of my dilemma? Is it possible to do what I want? In order to play the presentation on iPad you need to upload the output folder to your server "as is". 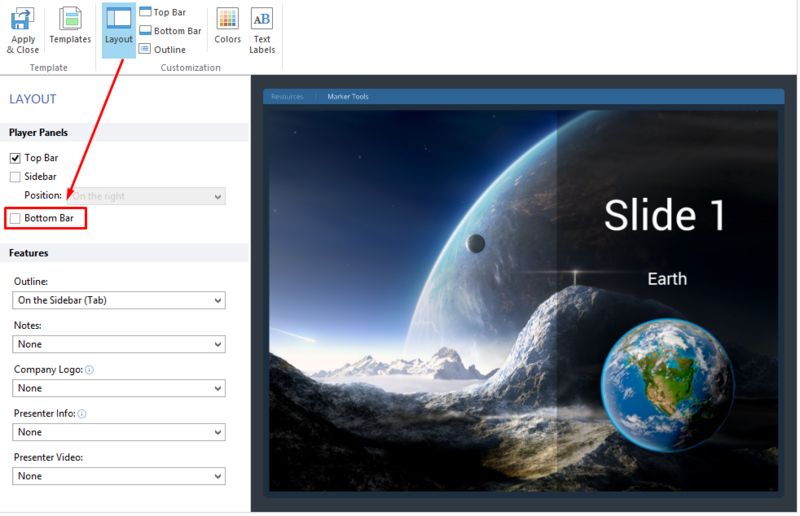 The index.html file is a launcher that loads all slides and data. 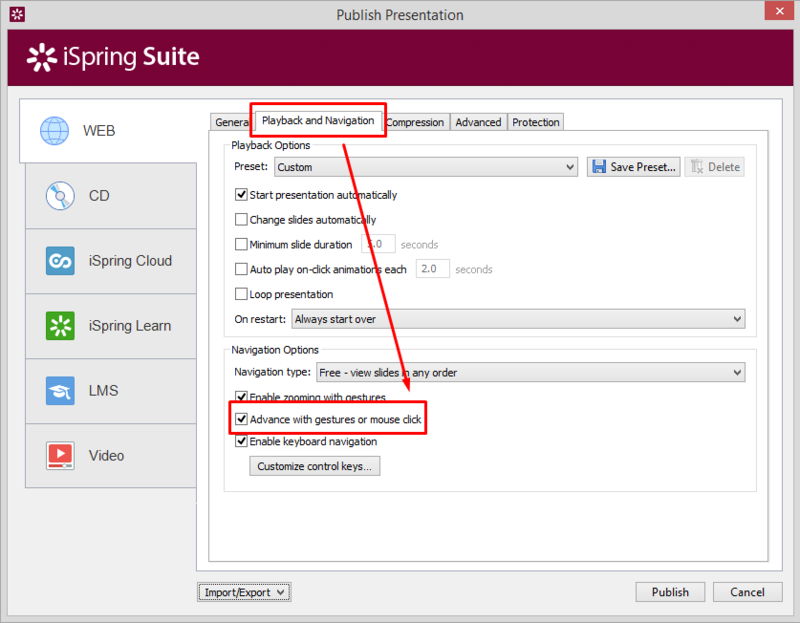 The presentation will not run if you upload just .js files, as links between the slides will be broken. thanks a lot for your reply. I uploaded all files "as is" and it runs. But I'm unable on an iPad to swipe between the slides with a swipe gesture. What goes wrong here? Thank you for the super fast reply! hmmm, that is weird - this option is set but we aren't able to swipe between the slides. What else could cause this problem? Which additional informations do you need from us? We appreciate your continuous help! If you have slide duration more than 0 sec, you need to click/swipe twice on slide to finish it with the first click and advance to the next with the second one. 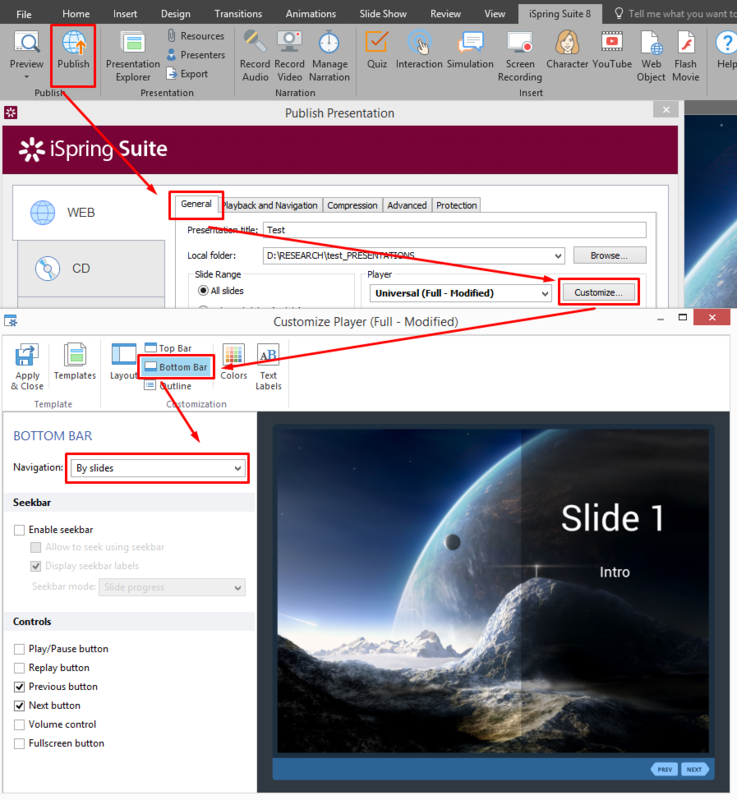 If this does not help, send me your presentation to support@ispringsolutions.com for a research. ah, ok. got it. We checked that out and ran into one question: how can we realize a swipe function without that footer bar? Is that possible? 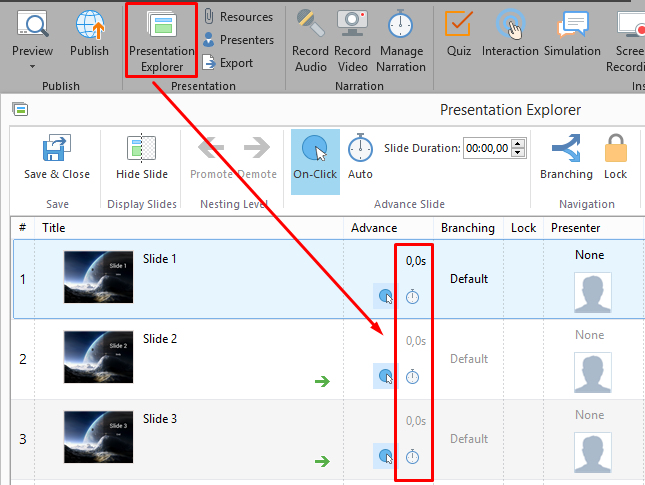 Yes, you need to set the slide duration at 0 sec (in the "Presentation Explorer"), so that you have one state for slide and swipe with just one gesture. uhm - but that won't hide the bottom bar with the "prev" and "next" buttons. I wanted to know, if that bottom bar can be hidden completely with a remaining swipe functionality. That bottom bar would overlay items in our presentation.